The lean process is a system used to identify and eliminate waste within a particular facility, department, or other area. This system is primarily used in manufacturing and warehousing facilities, thought it can be beneficial for just about any type of company. Using the lean process helps people to better identify what adds value, and works to eliminate anything that is not adding value. When done properly, this can help improve the bottom line of a company by improving efficiency, reducing costs, and driving up the value provided to the customer. 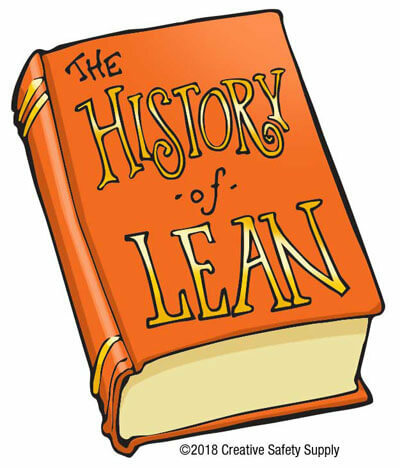 While the concepts behind the lean process go back well into history where people have long been working to eliminate waste, the modern lean process really got its start with the Toyota Production System (TPS). This system brought together a number of different concepts and systems, including the 'Just-in-Time' manufacturing system, and developed it into the basics of lean process. Over time, there have been many adjustments and refinements made to these strategies until it arrived at the lean process that is seen today. When companies want to implement the lean process, they typically go through a series of steps in order to complete the process. When done properly, a company can begin using the concepts of the lean process right away by effectively identifying waste and beginning the process of eliminating it. Identify Value - Identifying what the real value is in a process is critical. This must be done from the customer's point of view, looking at individual products at a specific price and time. Create a Value Stream Map - Create a value stream map for each product. This will identify all what occurs at each step, and where the value is added in along the process. Identify where the waste currently exists, and then create a second map where it is eliminated. Improve Flow - Set up the process in a way that flows efficiently and logically. Remove any barriers that cause delay or other issues. Use the Pull Method - Rather than trying to forecast sales or demand, begin allowing customers to 'pull' the production of products. Each product should only be made as there is demand for it. Repeat - This is a never-ending process. After each cycle, start over and look for new opportunities to eliminate waste. This also needs to be done with any new products, changes in demand, improvements in production, or any other changes that take place. In order to have a successful company that uses lean processes, it is necessary to use lean management approaches as well. Lean management is a concept where the management team actively supports the ideas of continuous improvement, and the elimination of waste. This is a long-term strategy that has managers at every level looking for incremental change opportunities that will allow for continuous improvement over time. While larger scale improvement options should be identified and implemented as possible, it is often the smaller ones that add up to the largest overall gains for the company. Managers throughout a facility will use a variety of different strategies to find improvement opportunities, and get them implemented into the day to day work of the facility as quickly and efficiently as possible. These improvement ideas do not need to come exclusively from the management team, however. 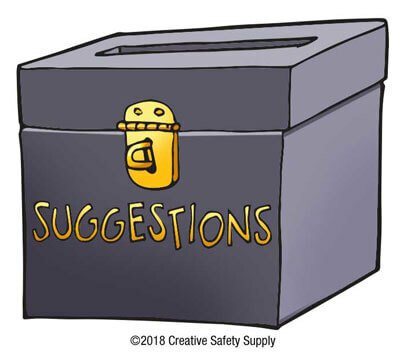 In most cases, the employees are encouraged to submit ideas on how to improve some aspect of their jobs. Since it is the employees who have the most direct experience with their own jobs, they are likely going to be able to come up with the best ideas for improvement. In order to implement this, management must share information about what is value adding to the end customers. Getting the employees more involved with finding improvement options is a critical job of any lean manager. When done correctly, the lean management strategies will not only help to improve the efficiency of the company, but will also improve employee morale. Another take on the lean process is a methodology known as Lean Six Sigma. Six Sigma is a concept that uses data-driven management and is constantly looking to improve the overall quality of a process by eliminating errors or defects. The goal is to bring the total defects in a process down to zero, even if it is known that this is never going to be accomplished. Transporting - Any movement that is not entirely necessary. When possible, make sure a product moves from place to place as efficiently as can be managed. Moving machines to be closer together, and in the proper order, for example. Inventory - Having excessive products and materials that are not needed to meet current demand. The inventory has the potential to get lost, damaged, or go down in value. It could also go unused if demand drops. Motion - Any unnecessary movement by people is a waste. If an employee is walking to the other side of a facility, they should plan this out so they only need to go once, or else ask someone else who is also going to do it for them. Eliminating as much motion as possible can dramatically increase the efficiency of an employee. Waiting - Time where people or products are waiting for the next step in a process to begin. Over-Processing - Creating a higher quality product than the customer demands. Even if a feature is good, if customers won't pay more for it, then it is waste. Over Production - Producing more of a particular product than is needed, or producing it before it is needed. Defects - A defective product needs to either be reworked, or scrapped. In either case, it generates a lot of waste. Under Utilization of Employees - Employees are one of the costliest assets a company has, and they also have the most potential. Utilizing all the skills, talents, and knowledge an employee has is critical. Also, making sure that there is enough work for each employee to do while on the clock can help to eliminate this type of waste. Each of these types of waste can cost a company a significant amount of money, when they are looked at in terms of waste. Identifying one small type of waste in one product line, and having it removed, will help to make that particular process more efficient from that point forward. The long-term return on investment can be massive, even for fairly small reductions in waste. When this is compounded over hundreds of small improvements, it is easy to see how the Lean Six Sigma methodologies can really help to improve a company's bottom line. The longer a company uses these strategies, the more efficient they become. There may be setbacks or other issues along the way, but with a constant focus using the Lean Six Sigma concepts, the company will be more competitive than ever. Learning more about six sigma problem solving in a facility can be one of the best uses of time for many companies today. In the manufacturing industry, lean concepts are frequently used to help improve efficient and eliminate waste. In fact, the lean process is primarily used for lean manufacturing, though many other industries take advantage of it as well. Due to the fact that manufacturing facilities fit so well into the lean concepts, it is easy to see why it is such a popular option. There are thousands of small improvements that can be made to a given product line to eliminate waste and improve efficient. Using floor marking tape, for example, can improve organization and improve safety, both of which will have a benefit on the level of waste. Organizing tools in the facility is another effective option. An organized tool area offers many forms of waste elimination including the reduction in wear and tear on the tools, reduced risk of loss and theft, and reduced motion of employees trying to find a tool. There are many different ways that a manufacturing facility can use lean manufacturing strategies to improve the way the facility operates. With a nearly endless number of different lean supplies and training options available, it is easy to identify ways for a manufacturing company to identify and eliminate waste. 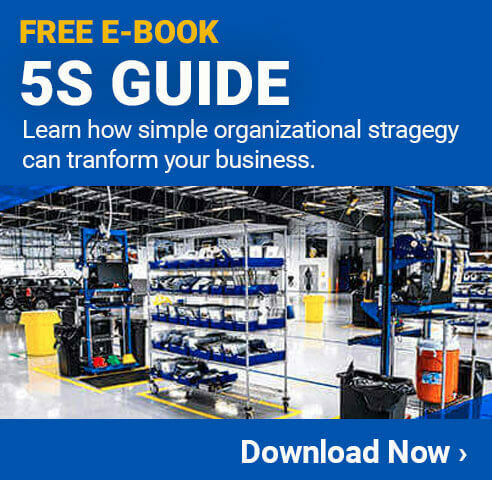 Whether it is the first implementation of lean manufacturing, or a company that has been using it for years, there is always more than can be done. When implemented correctly, it will not only eliminate waste, but will also create a safer and more engaging work environment for the employees and others who are in the facility.